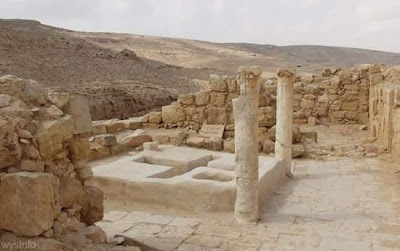 Mamshit, a Nabatean city in the Negev near the modern town of Dimona, rose to prominence because of its location on the Incense Route and the road connecting the Mountains of Edom in Transjordan via the Arava Valley to Beer Sheva and north to Hebron and Jerusalem. At 40 dunams (10 acres), Mamshit is the smallest of the Negev's Nabatean cities. It is also the best restored, its once-opulent dwellings featuring architectural elements unknown in other Nabatean cities. A settlement was first established here during the middle Nabatean period, in the 1st century CE. Most of the city’s buildings – mainly grand private dwellings – were built in the next century, after the Nabatean kingdom was annexed to Rome in 106 CE. A wall was built around the city in the 3rd century and at the beginning of the 5th century 2 churches were built. After the Persian invasion in 614 and the Arab conquest in 636, the city ceased to exist. In 1936 the British built a police station for their camel-back desert patrols, to monitor the Bedouin and prevent Jews from settling the area. In 1966 the site was declared a national park and in 2005 a UNESCO World Heritage Site, as part of the Incense Route. These 2 large complexes were built outside the city in the 1st-4th centuries CE. They probably served as inns for the commercial caravans passing through the region. There are also remains of graves residents of Mamshit and Roman soldiers outside the walls. This was built during the late Roman period, when the city was surrounded by a 900 metre long wall. The wall was widened during the Byzantine period after the earthquake of 363. The gate consisted of 2 towers and a passage, whose ceiling was supported by 3 arches. It was burnt and destroyed in the 7th century. This is a square structure, originally 3 stories tall. On the ground floor a well-preserved room was found with typical Nabatean arches to support the stone ceiling slabs. A stairwell leads to the second storey, from which there is a view of ancient Mamshit, the Mamshit Streem, the ancient dam, Mount Tzayad in the south and Dimona in the west. These churches are similar in type to those found at Avdat. They have impressive mosaic floors. In the centre of the house is a courtyard with a cistern. A stairwell led to the 2nd storey. The courtyard had a passage to the stable, which could accommodate 16 horses. It is thought the people of Mamshit raised Arabian horses for a livelihood. This is a Nabatean street, with a row of rooms on either side, which served as shops. Today, on holidays, this street is turned into a market. The reservoir, which was roofed, is located near the city wall and measures 3 x 10 x 18 metres. It filled with rainwater that flowed though a channel outside the city. The channel can be seen passing beneath the wall and continuing towards the reservoir. This is located next to the reservoir and supplied by its water. It contained 3 rooms, a hot room, a tepid room and a dressing and furnace room. The red bricks and clay pipes through which hot air flowed to heat the rooms can still be seen. In and around the city were many water collection installations: channels, cisterns and dams. These largest of these were the 3 dams built by the Nabateans on the Mamshit stream. Today only the lower Nabatean dam can be seen. The British restored it and built another dam further downstream. This structure dates from the 4th century CE and is amazingly well preserved. It contains a dressing room, cold room, tepid room, 2 hot rooms and furnaces. The presence of a bathhouse in this area attests to the inhabitants’ high standard of living. The water came from a nearby well nearly 70 m deep. At the top of the well is a pool from which a water channel led in the direction of the bath house. This Byzantine residential quarter was first established during the Roman period. It consists of a central street with dwellings on both sides. The street had a system of channels and cisterns for collecting rainwater. The quarter was destroyed in the earthquake of 630. The grapes were brought here from the vineyards and placed in storage cells built around the treading floor. An underground channel led from the treading floor to a round vat for juice collection. The juice was then transferred to vessels and stored in caves, where it fermented into wine. 5 wine presses have been found in Avdat, attesting to a flourishing wine-making industry during the Byzantine period. The fortress is 43 x 63 m and was built during the Byzantine period. It served as a gathering place and refuge for the inhabitants in time of danger. At the centre is a large cistern, fed by water channels that collected surface runoff. On the north side is a prayer chapel. A number of inscriptions were found on the acropolis, attesting to the presence of a temple or number of temples here. The earliest inscriptions are Nabatean, from the 1st century BCE. The latest inscription is in Greek, from the 3rd century CE. 2 churches were built in this area during the Byzantine period, the Church of St. Theodoros to the south and the cathedral to the north. Byzantine churches were usually rectangular, on an east-west axis. They had 3 areas, the Atrium, which was open to everyone, the Basilica, where worship took place and was open only to Christians, and in between the Nartex, which was a passageway between the 2. There were always openings in the wall of the Basilica, so non-Christians could watch the service. This church had 2 rows of columns (like a basilica) and was part of a monastery. A number of tombs were found in the floor of the church, covered with marble slabs and bearing inscriptions from 541-618 CE. The earliest inscription mentioned the tomb of the martyr St Thoedoros. The city’s cathedral and 2 earlier churches. The walls of this church contain many Nabatean building stones that were re-used. The pedestal of the altar is inscribed with the names Elijah and John, and a small marble box for relics of saints was found. This is a large cruciform baptistery, where adults were immersed. It shows that the Nabateans converted to Christianity. Next to it is a small baptistery for babies. At the northwestern end of Avdat is a lookout platform, situated on the ruins of a Nabatean temple. 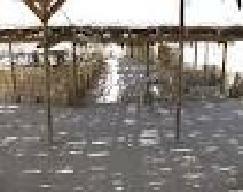 The platform affords a spectacular view of the slopes of the city, the bathhouse, the ancient agricultural areas, the cisterns and the Negev highlands. Hundreds of dwellings were built on the western slopes of Avdat, in front of and behind many rock-hewn caves. The caves were for the storage of agricultural produce and sometimes as dwellings in the hot summers. This house and the large cave in its back portion show an example of a dwelling in the city of caves. The entrance leads to a courtyard surrounded by rooms. One room apparently served as a toilet. The cave has 2 storage rooms dug into the rock, where wheat was stored, fruit was dried and wine produced. A cross is carved into the ceiling and the heads of bulls and a cluster of grapes are carved in the upper corners. 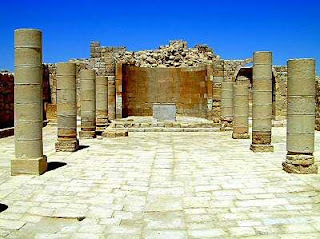 In the Negev Highlands, at the edge of the Avdat plateau and above the Nahal Tzin basin, is the ancient city of Avdat. The desert climate and only 80 mm rain a year were no barrier, in every stream valley and on every mountain slope they developed traditional agriculture, based on the collection of surface runoff in hidden cisterns. Avdat National Park covers 2,100 dunams, with its principal attraction the city of Avdat, located on the Incense Route. The city of Avdat was founded in the 3rd century BCE. It was station number 62 along the Incense Route. The name is from the Nabatean king Oboda (30-9 BCE), who was buried there. It was destroyed by marauding Arab tribes in the second half of the first century CE. Later, the last Nabatean king, Rabbel (70-106 CE), rebuilt Avdat. In 106 CE the Roman Empire took over the region, and Avdat continued to flourish until the seventh-century Arab conquest. It became part of the road and defense system of the Roman Empire, developing residential quarters and public buildings. Avdat reached the height of its development during the Byzantine period (4-7th centuries CE), with the construction of churches and numerous other buildings and the expansion of agriculture. At its peek in the Byzantine period, the population was about 3000. Viticulture became an important part of the city’s agriculture from the 4th century CE. Cisterns were hewn, and many of the caves on the slope reused, mainly as workshops to process and store agricultural produce. The city was finally abandoned after an earthquake around 630 CE. The Nabateans who inhabited Avdat were an ancient people of Arab origin. They were originally nomadic tent-dwellers and later moved to permanent settlements. Their livelihood was based on commerce in the incense and spices they purchased in southern Arabia and the Far East, which they transported by camel caravans to Gaza on the shores of the Meditterannean for export. In addition they also marketed asphalt from the Dead Sea to the Egyptians for mummification and later to the Romans. The Nabatean kingdom, whose capital was Petra, included northern Arabia, Moab, the Hauran, the Negev and Sinai. In 106 CE the annexation of the Nabatean kingdom to the Roman Provincia Arabia did no harm to their economic development and their cities continued to flourish. During the Byzantine period settlement in the Negev reached its peak – roads were developed and fortresses constructed, churches were built and agricultural areas created. The Nabateans gradually adopted Christianity, and inscriptions in Greek replaced the use of Nabatean script. The major plague that struck the Negev of the 6th century CE, the Persian conquest in 614-628 and the Arab takeover of the Negev in 636 brought about a decline in the security and economic situation of the Negev and the cities were abandoned. On the side of the hill remains of the first Nabatean settlement of Avdat can be seen. These are stones laid in the shape of tents, which were probably used to secure their tents, and many ceramic shards. This is a burial cave dug into the rock, dating from the 3rd century CE. The inner room contains more than 20 burial niches. At the front of the cave was an entry structure, and on the lintel are reliefs depicting the sun, the moon and an altar. Excavators used to believe the cave was the burial place of King Oboda. 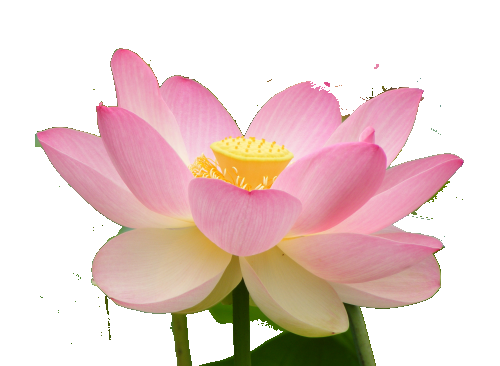 However, later 3 Greek inscriptions with women’s names were found, raising the possibility that those buried here were priestesses of Aphrodite. This is a lone villa on the southern end of the Avdat ridge. Its many rooms were built around a square courtyard, at the centre of which is a cistern. This structure is from the 3rd century CE and is notable for its special architecture. Above the entrance and inscription in Greek reads: “With good fortune Zeus Obada, help Irenius who built this tower with good augers in the year 188 with the help of the architect Wailos of Petra and Avtichos”. Years were counted from the establishment of Provincia Arabia in 106 CE, and therefore the tower’s construction was in 294 CE. It was apparently a lookout tower. This was uncovered in excavations in 1977 and 1999. It is 100 x 100 metres and contained 8 long multi-chambered structures that could accommodate a few hundred soldiers. At the centre of each side was a gate, and guard towers protruded along the walls. 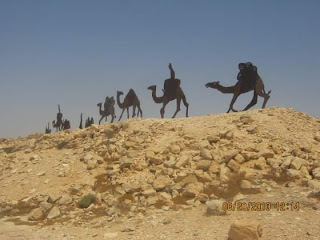 Bedouin are nomads, or rather, used to be nomads, as all the Bedouin in Israel are now settled. Some live in un-official settlements along the roadsides, in wooden or metal sided buildings. They also have 7 towns with permanent buildings and infra-structure. The Bedouin came to Israel in several waves, starting in the Nabatean era. Further waves came in the Early Moslem period and again in the Ottoman period. Before independence in 1948 there were 60,000 Bedouin. After the War of Independence only 12,000 remained as all the others had left. Today their numbers have increased to approx 200,000 in the Negev around Arad, Dimona and Beersheva, 30,000 in the centre of the country and 60,000 in the north. They were subject to military rule from 1948 to 1967. There are 2 main lines of Bedouin, one descended from Ishmael and one from Yocton. In 1952, the Bedouin lost their right to lands outside the Arad, Dimona, Beersheva triangle. In 1974 they were granted Israeli citizenship. Most Bedouin are poor, and they are moving away from farming. There is a lot of crime. They are polygamists and revenge is an essential part of their culture. Bedouin tents are made of goat’s wool, which is very oily. In summer the fabric breathes and in winter it becomes waterproof against the rain. There are 2 areas in each tent, one for men and one for women. A white flag flying outside a tent signals there’s a wedding inside. The receiving of guests is most important to Bedouin. The residents of the tent stand outside to greet guests. A guest is welcome to stay for up to 3 days with no questions asked. The Incense Route – Desert Cities of the Negev” was made a UNESCO World Heritage Site in 2005. The route runs from Moa in the Arava to Avdat in the Negev highlands (about 65 km), and includes the ancient cities of Avdat, Halutza, Shivta and Mamshit. Most of the road is included in the Tzinim Cliff Nature Reserve and the cities are national parks. The Incense route started in Oman and Yemen and extended 2,400 kms, passing through Saudi Arabia, Jordan and the Negev. It ends at the port of Gaza. It was a busy road from the 3rd century BCE to the 4th century CE. The Incense Route is unique testimony to a culture that has disappeared. The Nabatean cities and commercial routes constitute persuasive evidence of the economic, social and cultural significance of incense – frankincense and myrrh – and of spices and various merchandise transported from the Far East and Arabian Peninsular to the Hellenstic and Roman worlds. In addition to the road’s commercial nature, it also impacted ancient cultures, bring people and worldviews together. The road is a globally valuable and extraordinary example of traditional land use. The silent remains of the cities, the forts, the road and the milestones, the caravansaries and the sophisticated agricultural systems along the Incense Route in the Negev are an extraordinary example of the hospitable desert environment that flourished here for 700 years.